Posted On January 30, 2011 by &filed under Legal India. Holding aloft banners and shouting slogans against rising levels of corruption in the country, thousands of people from all age groups stepped out of their homes Sunday to demand an effective anti-graft law. Streaming banners that read ‘Corruption: Enough is enough’ and ‘Common people are raped in government offices’, the protestors gathered at the Ramlila Ground, from where they walked to Jantar Mantar, the 18th century masonry observatory that has become the rallying point on the edge of the Connaught Place shopping district in central Delhi. Former Indian Police Service officer Kiran Bedi, social activists Swami Agnivesh and Anna Hazare and lawyer Prashant Bhushan were among the key participants in the rally, which coincided with Martyrs’ Day, the death anniversary of the Father of the Nation Mahatma Gandhi. The march was part of the ‘India against Corruption’ movement being built up by some social organisations demanding passage of the Lokpal Bill in the budget session of parliament with necessary amendments. Some eminent persons have come together and drafted an anti-corruption legislation which seeks to create an independent, empowered, transparent and accountable anti-corruption agency called Lokpal. 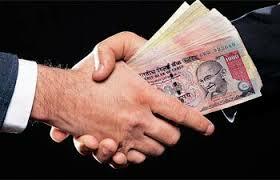 “The Lokpal bill prepared by the public is so effective that it will eradicate corruption in next two-three years. Political parties should support the passage of this bill as the Lokpal suggested by the government is only a showpiece,” eminent lawyer Shanti Bhushan said while addressing the rally here. According to activists, the government is making Lokpal an advisory body, which will only recommend to the government to prosecute its corrupt ministers. 101 queries in 0.224 seconds.